Materials: Curly and spalted bigleaf maple with inlaid minerals. Finished with metal-acid dyes and musical-instrument lacquer. Comment: This is the first example of an inlaid tree featuring fine wooden tendrils in the truck that mimic the twisted branches. 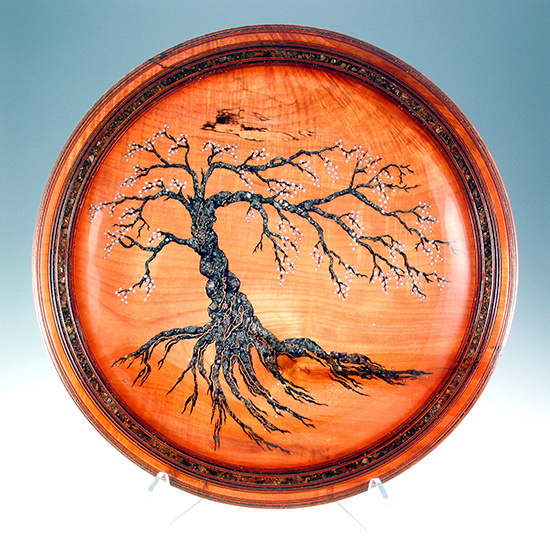 Essentially wood is inlaid in minerals to reflect the mineral branches inlaid in wood.